TheCable: Are you in good shape for the presidential poll given the fact that APC has gathered momentum in the last two months? Jonathan: You should remember the Ekiti governorship election last year. Before the election, many people were saying APC would win by a landslide. But we in the PDP were busy mobilising the grassroots, going from village to village, from town to town. The result shocked everybody, apart from us at the PDP. I am not underrating APC, but I think they are grossly overrated. We shall meet on the field. That is where we will test our true strengths. We are fully ready. You will soon see. TheCable: General Muhammadu Buhari’s popularity is growing, especially in the south. Isn’t this a big threat? TheCable: Sorry to cut in, Mr. President, but we are also talking about figures, not just number of states. APC states like Kano and Lagos have voters in excess of 9 million. Jonathan: I’m still coming to that. In 2011, taking that as a baseline for comparison, I scored 22.4 million votes. Buhari had 12.2 million votes. That is a difference in excess of 10 million. I do not suppose that you believe I have lost 6 million votes to Gen. Buhari already, or that Gen. Buhari has gained 11 million more supporters. Suggesting I will lose a whole 6 or 7 million votes to Gen. Buhari would be an exaggeration. Let us even add the votes of ACN which scored 2 million in 2011. Since CPC, ANPP and ACN have merged into APC, let us say APC had 14 million votes in 2011. I still defeated all of them with over 8 million votes. Don’t forget that Mallam Ibrahim Shekarau, the ANPP candidate then, and Mallam Nuhu Ribadu, the ACN candidate in 2011, are now in the PDP. Jonathan: And you think only one party will benefit from a larger turnout? I will disagree with you on that. TheCable: We agree that both of you will benefit, but we project that south-west will decide who the president will be. And APC is the dominant party in the south-west. Jonathan: Again, I will not say so. Ekiti and Ondo are already controlled by PDP. I don’t see APC winning Oyo and Ogun. And from the last governorship election in Osun, you could see that the gap between PDP and APC was very narrow, judging from the figures. Other factors will still be at play and the best you can say for now is that Osun is a tossed-up state, as Americans call it. The real battleground is Lagos, and if you have been following events closely, the PDP is reborn in Lagos. Wait and see how Lagosians will vote. TheCable: The choice of Professor Yemi Osinbajo as the running mate to Buhari is seen as a masterstroke. Analysts foresee him delivering the south-west votes. And as a pastor in the Redeemed Christian Church of God, this may neutralise the extremist tag on Buhari and bring in the votes of members of the church. Do you agree? Jonathan: There is no doubting the fact that Osinbajo has good qualifications. But, like Gen. Buhari, he has never won an election before. He has never even been a candidate. So APC has a pairing that cannot be described as a winning team. That said, you cannot call Osinbajo a political heavyweight in the south-west. The Yoruba are more sophisticated than that. In 2011, two of my opponents fielded their running mates from the south-west. Still, the south-west decided to vote for me. That tells you a lot about the voters in the south-west. They cannot be hoodwinked. Jonathan: Yes. But the presidential candidate of APC is Gen. Buhari not Osinbajo. And I think we should leave church out of this before it becomes another talking point again. TheCable: Buhari’s supporters are very confident that he will win. Are you not really worried about this? Jonathan: I don’t think Nigerians will make the mistake of voting for Buhari. Gen. Buhari, with due respect, is not the right option for Nigeria at this time. It is a gamble that is not worth taking. I may not be perfect as nobody is perfect. But I believe that come Saturday, the majority of Nigerian voters will choose me as the best candidate to lead the nation forward. TheCable: For many Nigerians, Boko Haram is an election issue. Don’t you see this impacting on support for your re-election? Jonathan: We are not sleeping when it comes to Boko Haram. But we must be fair and accept that we are dealing with problems we never encountered before, problems that we were not prepared for as a nation. Nobody would have predicted this carnage five years ago. We can all be wise after the event, we can say whatever we like now, but who can sincerely say they projected that Boko Haram would become like the Taliban in 2009 when the uprising started in Maiduguri? I hear people say we did not give Boko Haram the attention they deserved, that we left things too late. That is not correct. To combat terror, you have to be systematic with your approach. It is not a conventional warfare. New laws are required to cover your operations because we never had to deal with terror before. There is also a different kind of training and personnel required. Operations have to change from conventional to non-conventional. You cannot use the equipment of 1984. Even when you buy new equipment, you need to train your soldiers on how to use it. You can’t do that in one day. Intelligence gathering has to be firmed up using the latest technology. This will not happen in one day. Your security architecture has to be completely different. This is what we have been working on and we are making good progress. We are getting better every day. We need to encourage our soldiers who are risking their lives every day. They are human beings like us. They have parents, wives, sisters, children, brothers. It is not fair at all to disparage them. It is also not fair to encourage mutiny. You don’t encourage more soldiers to run away from the warfront. It is not helpful. We are confronting Boko Haram with all the resources available to us. We need the cooperation of all Nigerians. When people begin to politicise the war against terror because they want to win elections, it undermines our efforts. TheCable: You used to dominate the social media. What went wrong? Jonathan: I think we are doing very well on the social media, but we are focusing our energy more on grassroots mobilisation. Most Nigerian voters do not participate in social media discussions. The majority of Nigerian voters are not even on Twitter or Facebook. So we have to get our priorities right. I have about 1.7m Facebook followers but there are over 68 million registered voters in Nigeria. I am not even sure most of my social media followers are registered to vote. We are doing door-to-door mobilisation around the towns and villages. Experience has shown that the bulk of voting comes from those areas. For every voter on Twitter, you probably have 100 voters who are not on Twitter. But when you read tweets and re-tweets, you may get a very wrong view of the reality on the ground. We have a very good strategy to woo voters. Our opponents have a good strategy to abuse us on Twitter. Let’s see how far that will take them on March 28. Obviously, it is not those who make the loudest noise that win the votes. Sometimes, making so much noise is a strategy to divert attention from your impending failure. When you lose, you now attribute it to rigging. APC is very good in that area. It is a strategy they have used in the past. TheCable: What’s your reaction to those who say they will not vote for you because they believe you have not done well so far? Jonathan: On the issue of performance, I only wish to be judged on where Nigeria was when I took over and where we are now. Those who are fair-minded will agree that we have made tremendous progress in so many areas. For instance, the over 6 million farmers who are now getting fertilizers and seeds directly and enjoying improved livelihoods won’t tell you I have not done well. They are saying they have never had it this good. Fertilizer corruption is gone forever. We’ve introduced dry season farming. Their harvests have increased exponentially. We’ve improved water resources across the country, north and south. These are the things that affect ordinary lives. The transporters who are now plying good interstate roads will tell you they are happy. For example, the Benin-Ore road that used to be front page story in newspapers for almost a decade because of its poor state is now brand new. We have built or rehabilitated over 25,000 kilometres of roads since we came in. The federal government has 35,000 kilometres of roads and only 4,500 were motorable when I came in. That is a fact. Judge me on that. Millions of passengers who are now using the revived rail transport system will tell you they are happy. Five million passengers now use the train every year, compared to less than one million a few years back. I would like to be judged on that. Foreign investors have made Nigeria their preferred destination as attested to by local and international agencies. In the oil and gas sector, our local content policy has produced a new generation of Nigerian entrepreneurs who are proudly flying our flag all over the world. That is a fact. That is progress. Judge me on that basis. We’ve built schools for Almajiris and the girl-child. These are the vulnerable in the society who were neglected but are now receiving good education suited to their needs. We’ve established and equipped more universities to provide for the future of our youths whose population continues to expand but there is insufficient capacity to give them university education. We’ve upgraded equipment at tertiary institutions and continue to retrain lecturers and teachers. No government has funded education better than us. Our hospitals are better equipped as we continue to upgrade them and improve the service conditions of doctors and nurses. They are performing surgeries they never did before. Our immunisation coverage is unprecedented. Guinea worm infections are nil today. We are gradually getting over the polio epidemic. Go to the airports across the country and see the changes that are taking place in terms of safety and physical development. I can go on. The real voters, the real Nigerians who will go to the polling units, are happy with what we have achieved in our first term in office. Millions of ordinary Nigerians are not deceived by the propaganda of partisan critics. I do not say that we have solved all the problems. That would be a lie. But the Nigeria of today is better than the Nigeria that I inherited in 2011. The facts are there. Our critics should judge us on the basis on what we met on ground in 2011 and how far we have moved on from there. Is the agricultural sector worse? No, it is better than we met it. Is the education sector worse? It is better than we met it. The aviation sector is better than we met it. The oil and gas sector is better than we met it. The industrial sector is better than we met it. We’re now exporters of cement and we will soon start to export cars. The rail sector is much better. The road network is bigger and better. Inland waterways are expanded. In fact, our economy is now the biggest in Africa. Therefore, let our critics judge us on the basis of facts not lies. TheCable: But the power sector remains a big challenge. Why are we still unable to attain uninterrupted power supply? Jonathan: I like to ask people: was it that there was 24-hour electricity and Jonathan came and switched it off and damaged the equipment? The answer is no. Power is an age-old problem in Nigeria and we have to understand that. When I became president, we started the power sector reform all over again. If you remember, one of the first duties I performed as president was to launch the Power Roadmap. It was like starting all over again because of various legal, structural and administrative issues. Power projects had stalled. The Nigerian Electricity Regulatory Commission (NERC) was in a legal tango as a result of the removal of its management. We had issues with gas supply as gas pipelines to power plants were yet to be laid. We also had issues with gas pricing because gas producers would rather export and make more money than sell locally at a regulated price. There were so many serious issues to resolve. You cannot decree power into being. You have to take it step by step with commitment. If anybody tells Nigerians otherwise, they are lying. The approach we have taken now is the best available to us. We have gone private. The process has reached a stage that can only go forward. The power situation is tricky in that until the last dot is connected, we will not see results. There is generation, then transmission and distribution. Until everything is sorted out, we will not see the kind of results we desire. If you build a house and you are yet to paint it or fix the doors and windows, you can move in and start to live there and complete the work gradually. But at least you have a roof over your head. However, for electricity, until you connect all the dots, you can’t get results. Until the power generated is transmitted and distributed to the final consumer, you cannot have steady electricity. That is a fact. But we are moving in the right direction today. I am confident that this will be one of the biggest achievements of this administration. 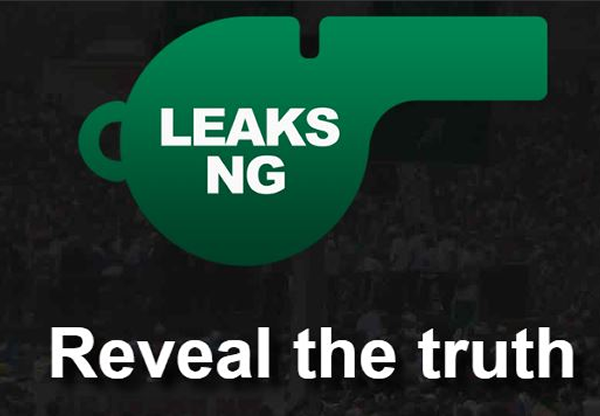 TheCable: The issue of $20 billion NNPC affair is still hanging though, and your handling of corruption cases. What do you have to say on that? Jonathan: I would have been surprised if you didn’t ask that question. Have you picked a figure now? The accuser said $49.8 billion was missing. He then reduced the figure to $12 billion. Now people are talking about $20 billion missing. Is that the final figure they have arrived at? Why are people not saying $49 billion again? Ordinarily, the inconsistency in the figures should have put a big question mark on the entire allegation itself and questioned its reliability, but because some people have decided to crucify me, they will hang on to any lie. If the former CBN governor himself comes out today and apologises that he got his facts wrong, that no money is missing, these same people will dismiss him. They will say he has been bribed or he was cajoled to retract his statement. That is the way some Nigerians have decided to live their lives and there is nothing I can do about it. I have said it before: no money is missing. No money has been stolen. The PwC audit has laid all that to rest. It is impossible to steal $20 billion. There is no proof anywhere that money is missing. The senate has investigated it. The report is there for all to see. No money is missing. From the way the whole drama has played out, you can see that the so-called scandal was a political gimmick. Look at the sequence of events and all the political associates of the accuser and your reasonable conclusion will be that it was a scandal cooked up to smear this government. We are open to investigation. I will not be president forever. You also spoke about corruption. I am doing everything within my capacity to fight it. We have removed ministers, we have sacked top government officials, we have put suspects on trial. But I can only accuse you of corruption. The moment the case is charged to court, what more can I do? I cannot be prosecutor and judge. It is not allowed. Many people have been arrested and charged to court. They go and employ clever lawyers who play the system to pervert justice. To now turn around and blame Jonathan will be disingenuous. Nevertheless, corruption is what all of us who are leaders and followers must resolve to fight. We need a re-orientation. We need to revive our ancient values. Then we need to make our system, our institutions work. There is no short-cut to eradicating corruption. TheCable: Many people believe Buhari has the nerve to fight corruption more than you. Doesn’t that bother you? Jonathan: You don’t fight corruption with nerve. You fight it with the instruments of law. You fight it by building and strengthening institutions. Go to advanced countries. Go to the countries that rank very high on Transparency International’s corruption perception index. Denmark, Norway, Sweden, Singapore, name them… They don’t use nerve to fight corruption. It is not the president or prime minister that fights corruption in those countries. It is the system. That is why even the prime minister can be removed and tried for corruption. In Nigeria, some people want strong men as presidents who will fight corruption as they wish, as they want and as they please. You cannot sustain that. You cannot even guarantee that there will be no abuse. When they arrest somebody and put them in handcuff on national television, we all rejoice. But how long will that last? What problem does it solve? Has it ever solved any problem? My own understanding of the anti-graft war is different. I believe that you must first prevent corruption through administrative and legal reforms. We have succeeded in the fertilizer subsidy regime. We have also succeeded in the payroll system. We almost succeeded in the petroleum sector through deregulation but we unfortunately had to reverse the decision as a result of politics. When you make it impossible or difficult for people to steal, you are fighting corruption in a sustainable manner. The second sustainable strategy is to empower anti-graft agencies. EFCC and ICPC have been doing their work without any interference from me. They are charging people to court and they are getting convictions and recovering stolen funds. These things are in the news every day. Read the papers. That does not require presidential nerve. It is about institutions doing their jobs, the same way NAFDAC and FRSC do their jobs everyday without taking any instructions from Aso Rock. You see, under our laws, the best a president can do is sack his appointee or employee and then the EFCC or ICPC will take them to court. There is nothing any Nigerian president can do beyond that. The rest is left to the court. I cannot jail anybody. Our laws do not allow the president to jail anybody. The best Buhari can do is sack people and send them to court. We have gone through the era of the strongman president. It did not solve any problem. For those who think corruption is fought with “nerves”, I hope they know what they are praying for. Jonathan: Since he is leading the Arewa Consultative Forum, I think Alhaji Coomassie needs to consult more with the people he leads. He should consult with the beneficiaries of girl schools, almajiri schools, the drivers plying the newly dualised roads in the north, the passengers using the trains, the farmers, and so on. Nigeria is my constituency and I have to be fair to all, if not I would not have peace of mind. When people were calling themselves northern consensus candidate some years ago, I called myself the Nigerian consensus candidate. Most Nigerians are tired of sectional leaders. They want to see Nigeria as their constituency because they have no other country to call their own. The progress of Nigeria is progress for all. I have not marginalised any part of Nigeria and God forbid that I do that. My conscience is very clear on that. TheCable: You have been described by your critics as the most divisive leader Nigeria has ever had. What is your response to that? Jonathan: One of my friends told me a Yoruba proverb recently. He said something like: if a farmer sees a thief in his farm and does not immediately raise the alarm, it is the thief himself that will start shouting “Ole!” It is people who have been playing religious and sectional politics all their lives that are now turning round to accuse me of playing sectional politics. It is very simple to verify. Look at the pattern of my appointments, distribution of projects and my close friends. They are from all over Nigeria. I have been fair to every group in Nigeria. But this is a story to be told another day. I have never discriminated against people from other denominations or religions. I fast with my Muslim brothers and sisters during Ramadan. I have never openly or secretly incited one section of Nigeria against the other. TheCable: There are fears that there could be violence after the election. Asari Dokubo is threatening hell and you are expected to call him to order but you have not. Why? Jonathan: We will not allow violence anywhere in the country. That I can assure you. We are better prepared to prevent and contain violence than we were in 2011. You will notice that since 2011, there has not been any post-election violence. As for Dokubo’s statements, he does not speak for me. But that does not mean he should not be called to order. I’m sure the security agencies are monitoring the situation. All these threats are unhelpful. That is how some politicians were saying they would make Nigeria ungovernable if their candidate did not win in 2011. We must jointly condemn these threats of violence no matter who is making them. Nobody is bigger than Nigeria. TheCable: We need to talk about the Chibok Schoolgirls. You were globally adjudged to have failed to act on time. What went wrong? Jonathan: A lot went wrong. It is a traumatic experience that comes to mind every day. I just pray some people will be man enough to come out and admit their ignoble roles one day. Rather than support the government at such a trying moment, they capitalised on it to score cheap political points because of the 2015 elections. TheCable: Former President Olusegun Obasanjo said if the government had responded by launching a rescue mission immediately, the girls would have been back home. Do you agree with that? Jonathan: Let’s say the soldiers went after the kidnappers immediately. Remember the terrorists were with guns and probably with bombs. The girls had become human shields. If the soldiers had gone after them and the girls were killed by the terrorists, what would have been the public reaction? The military would have been accused of incompetence and genocide. The opposition will call for the resignation of the president. You can always be wise after the event. Look, we were misled from the beginning on the safety of the girls. We were also misled that they had escaped from their captors. But we reacted immediately we realised what was going on. We reacted. We didn’t fold our arms. But when an issue has been politicised and people are hoping to win elections by riding on the misfortune of these girls, it is a difficult task for us to convince Nigerians that we did what we could reasonably do. TheCable: At some stage, you seemed to believe the opposition was behind Boko Haram and that probably did not make you deal with them appropriately. Am I right? Jonathan: Not me. I have said consistently from the beginning that they are terrorists. I challenge anybody to produce any evidence where I said opposition was behind Boko Haram. TheCable: Your relationship with Modu Sheriff, who has been accused of being a Boko Haram sponsor, has also worried many Nigerians who think you should not be seen in company with him. What is your reaction to that? Jonathan: Again, we are talking about hypocrisy. Modu was a founding member of APC. He was in the board of trustees. He was a financier of APC. Nobody in APC accused him of being Boko Haram. The moment he crossed over to PDP, he became Boko Haram. All hell was let loose. This should make it clear to you that they are all playing politics. TheCable: Many will argue then that the opposition is better organised that the ruling party. Is that the case? Jonathan: They certainly started their campaign for 2015 well ahead of us, as early as 2011. They wanted to make insecurity and corruption the issues in the 2015 election and they started their mischief very, very early. They started by failing to cooperate with me on the war against Boko Haram. They opposed every move I made. They started demanding that soldiers be withdrawn from Borno. Thank God I did not succumb to the blackmail. Borno would no longer be part of Nigeria by now. Maiduguri would probably have been the capital city of Boko Haram’s caliphate. Thank God we remained resolute in the face of blackmail and media campaign. They opposed the declaration of state of emergency. They opposed the ban on Boko Haram. They started circulating rumours that I was against Muslims. They accused us of genocide. Go and read the newspapers from 2011 till date. They did everything to worsen the Boko Haram problem. They knew where they were going. The opposition also cooked up corruption allegations against me. Their mischief worked with some unsuspecting Nigerians. Only God knows how much they say is missing now. I have lost count. Every day they will say $48 billion is missing, N500 billion is missing, $1 billion is missing. Some will say N20 trillion has been stolen. It does not make sense any more. Recently, an APC governor said $30 billion is missing from excess crude account. By the time you calculate all that they say is missing, we must be richer than China and US combined! All kinds of wicked lies. Nothing but mischief because they want to win elections. They started scandalising anyone perceived to be close to me, including men of God. I never knew politics could be this dirty. By nature, I don’t play dirty. I try to be fair. Unfortunately, people fail to recognise God in their scheming and calculations. No matter what they throw at me, if God says I will not fall, I will remain standing. To answer your question more directly, yes the opposition is better organised in playing mischievous and dirty politics but they will fail. TheCable: Can we now talk about the minister of petroleum resources, Mrs Diezani Alison-Madueke? TheCable: The opinion of many of your critics is that you should have fired her long ago because of all the scandals surrounding her. Jonathan: I will tell you something. Any society where the leader acts based on rumours and conjecture, that is a society that is doomed. Mrs. Alison-Madueke has not been convicted or indicted of any wrong doing. I have 42 ministers and 18 advisers. If I act only on rumour, I would have fired all of them. There is hardly anyone of them that somebody has not come to say something bad about. Until allegations are proven, I don’t act. I will not shed any innocent blood to please my critics. TheCable: There was a statement credited to an aide of Dr Doyin Okupe that if you lose, you would rather hand over to the military than hand over to Buhari. Is that your position or will you concede defeat if you lose? Jonathan: We have passed the stage of military take-over. We are in a democracy. I have always congratulated governorship candidates when they win, even when they defeat candidates of my own party. I will congratulate whoever wins. I am not known for violence. I will never incite people to start spilling blood because of an election. It is not worth it. My ambition is not worth the blood of any Nigerian. You see, it is God that made me president. If God says I will be re-elected, there is nothing anybody can do to stop me. All the plots against me will fail. All the lies will crumble. All the hate messages will amount to nothing. God put me here and if he says it is time to go, he knows best. If he says I will do a second term, no amount of lies can unseat me. TheCable: Why was it difficult for you to come out to dissociate yourself from the divisive and hate mongering advert by Ayo Fayose which was done as a campaign for you? Jonathan: I saw the advert like any other person and I don’t think anybody should hold me responsible for an advert run by someone else. All our official adverts are run by our campaign organisation. I don’t have power over what others decide to do. However, I smell double standards again. Why are you journalists not asking Buhari to come out and condemn all the personal insults being hurled at me by his supporters in the newspapers and social media? Do you believe Jonathan should be guilty in everything under the sun while his opponent is a saint in everything? I don’t think so. TheCable: There have been several versions of what transpired in the meeting between you and Obasanjo at Ota where two clerics were reportedly present. Can you share with us what truly happened… and why is it difficult for Obasanjo to reconcile with you? Jonathan: I have nothing but respect for Baba. It was a private conversation and I will keep it private. If he decides to make it public, that will be his decision and not mine. On the issue of reconciliation… Baba is not my age mate. He is Baba to me. I cannot be talking about reconciliation as if we are age mates who quarrelled. I have no problem with him but he has been making his views about me known publicly. If you know Baba very well, he does not hide his feelings. He likes to make his feelings known publicly. It was the same thing he did with President (Shehu) Shagari, Gen. (Ibrahim) Babangida, President Yar’Adua. It is nothing personal. He just has a passion for Nigeria and you cannot deny him his opinion, even if you don’t agree with his positions on issues. I would prefer he speaks to me directly and privately like former heads of state do, but he has his own style. TheCable: In his well-publicised article, Soludo said you like outsourcing your responsibilities as president, in apparent reference to the idea of coordinating minister for the economy. What is your response to this and who truly is in charge of the economy, you or Ngozi Okonjo-Iweala? Jonathan: As president, I head a team. I appoint team members and apportion responsibilities to each person. We hold meetings. They brief me. They get my approval. Now, this is how government is run all over the world. You don’t say Obama is not in charge of American economy because he has economic advisers. Or you say David Cameron is not in charge of UK economy because he has appointees in charge of various economic departments. TheCable: Why should you get a second term? Jonathan: Nigerians need to join me in moving Nigeria forward, not backward. We cannot go back to the old ways. We are on a project to transform Nigeria. We have laboured very hard, day and night, to get to this stage. Today we have the biggest economy in Africa and things can only get better. Nigeria is a preferred destination for foreign investments because of our investor-friendly policies. We are implementing an industrial revolution plan that will help to catapult us on the global development index. We have embarked on massive infrastructural development, covering power, rail, roads, water and so on. We’ve embarked on institutional reforms to be able to fight corruption and deliver credible elections. We are certainly on the right path. This is not the time to change leadership. This is the time to consolidate and progress to the next level. After being privileged to be President of Nigeria for four years, I understand very well where the shoe pinches and where the roads are rough. I have taken action to redress the failures in the system for a smoother journey to the next level. We are very close to cruising now. Bringing in a new driver at this point can lead to a reversal. This man is still living in dreamworld! A shocker awaits you, come Saturday, just wait and see. True talk. May God continue to bless u & keeps improving ur knowledge. And @ Tonie, Simon Kolawole, the publisher of this medium is a man want best for this country. I love ur comment too but just want enlight you about who Kolawole is. He is a journalist with integrity. He was man boss in ThisDay and I worked directly under him when he was Saturday Editor. Very close. I became a loyalist to Buhari thru his back pg article on Buhari and met him to know more about him (thou i was not a baby when Buhari was Head of State in this country) and he gave me more enlightenment about him. I hv been voting Buhari (despite i knew he doesn’t hv brighter chance then) thru his commendation. He may try 2 be neutral due to his profession but i cn tell u and assuring u tht is a man of integrity. You forwarded the questions, & Abati provided the answers – IN WRITING.Simple. I can bet that was what transpired. This is pure PR job, to help a friend (Abati) of your Publisher (Kolawole). The man has finally lost it. I can assure you. All the answers are too simplistic. Imagine the man comparing what happened in 2011 elections with what is happening now. In 2011, we all voted for him becos we saw him as an underdog who had no shoes.Now we have realized that he has more than enough shoes but has no CLUE to the problems confronting Nigeria. What an ungrateful fellow – he never acknowledged all the support he got from OBJ, Tinubu & all to win in 2011. And to imagine that these people are no longer for him, including Kwankwanso, Wammakko, Saraki, Amaechi & so many others. Believe me, he will lose most disgracefully. I t will be a miracle if he scores half of what he scored in 2011. Very interesting, is the Presidency about being grateful to some political gangsters or about protecting the interests of the masses? You have in a nut-shell revealed the tragedy of the Nigerian political system where some people reins of power and everyone in government must be their stooge. Hence, this slogans of ‘had no shoes, has no clues’ that is being sung around’ as a tool of blackmail and digressive strategy. Unfortunately, even some so called educated Nigerian have fallen preys of these gimmicks and propaganda. GEJ has for the first time in the history of our nation cut-off the strings of the puppeteers from the Presidency, first time ever that a sitting president will defiled the command of a political godfather. You should remember that Ingige tried it, and he was consumed, Fashola (can you imagine Lagos without the suppression of the kingpin in Bourdilon) tries and he is being suppressed. But GEJ, your so called weakling made all his mockers, both military retirees and political truants, and some elites who think governance is their birth-right. It’s not with ease that you bring out the nut from the palm-kernel, a Yoruba adage, so it is not surprising that all your so called bigwigs are confronting the president. The mother-chick is chasing all her chicks into the cage, protecting them from the intruder but they are protesting the mother is preventing them from playing. This is also another adage and a true replica of the those clamouring for change. Some are wondering if the interview was truly granted by the President or some write-ups by his PAs, the question is, are the facts stated not true? I hope insight will prevail and GEJ re-elected to conclude his vision for an equitable Nigeria without distraction. And what is wrong with that? The problem with you is that you don’t believe anything good can come from the president. if you are a journalist you will realise that this interview is not doctored. There are follow up questions and that cannot be done in a premeditated way. This Man is really bragging o! Comments are very presidential and shows a responsible, emphatic, humane personality. Forget about the vitriolic acts being thrown at him he means well for all Nigerians. I will vote for your sake. Empathy and sympathy is all we hv been voting for. It’s time to wake up. Thank you my brother ! Hope they use their minds and not their hearts. Mr GEJ all those things you mention as achievenent..i wander were they are in structures…is that we are not in nigeria..are talking to the nigerians in diaspora.or what…keep lying to your self but the blood of the innocence who died in your government will surely hurnt u..
What did he mention as his achievements that you are not seeing? Is it the Benin ore road? We can see that. Is it that our airports and airspace are better? We can see that. Is it that the trains are now working? We can see that. Is that more universities were built that have employed many graduates? We can see that. Is it the almajiri schools he built? We can see that. Is that EFCC has more convictions than b4? We can see that. Maybe you are just being sentimental. Very good Mr President. Very good indeed. Excellent ! This is the kind of man that Nigeria needs now. Every machination against his return shall fail by God’s grace. The Gentility in President Goodluck Jonathan is very obvious and I admire that part of him. Come March 28, GEJ will be re-elected as the President of this great nation and there’s nothing anybody will do about it. So far, he still remains the best president Nigeria ever produced. Well spoken. Little wonder the opposition refused presidential debate. There’s nothing to offer but to shout change. Lol. My President. I love your sincerity, calmness,politeness and focus. God will continue to lead you. This is the leader that Nigeria needs. He understands his job and is delivering on schedule; taking Nigeria higher. May God grant you victory and make you truly the Lee Kuan Yew of Nigeria. #GodblessNigeria. That’s the performance of a polished and well educated man. Thank you The Cable for allowing him fair hearing in contrast to other uncharitable news media that would rather crucify him without allowing him self defense. wonderful, this is his usual humble and leader-like way of answering questions. Nigerians will surely vote you i, that is the truth. This interview puts into bold relief what some of us had all along said in private about Mr. President. He is really a good man who means well for this country. He is certainly a man who would wish to leave a memorable legacy. We should try him and for me the elections has been won and loss already. Goodluck Mr.President. That’s a Presidentthat knows what he is doing. He doesn’t need anybody to tell him the name of his running mate or dat of his party. Goodluck Jonathan, as a northerner I will vote for u to complete ur good works in Agric, aviation, education, railways, msme etc. We don’t want one day on, one week off President Tinibu is presenting to us. Wen the time comes, we in the north will pick our candidate, we don’t need any Yoruba man to pick a candidate for us. Jonathan: I would have been surprised if you didn’t ask that question. Have you picked a figure now? The accuser said $49.8 billion was missing. He then reduced the figure to $12 billion. Now people are talking about $20 billion missing. Is that the final figure they have arrived at? Why are people not saying $49 billion again? Ordinarily, the inconsistency in the figures should have put a big question mark on the entire allegation itself and questioned its reliability, but because some people have decided to crucify me, they will hang on to any lie. If the former CBN governor himself comes out today and apologises that he got his facts wrong, that no money is missing, these same people will dismiss him. This got me laughing, have you picked a figure? Lol. That’s a well thought out answer by a a very intelligent man. Who said this guy is a dombo? Yes, where is the video of this “interview”? This was obviously an open book exam! GEJ U re the man God has given the mandates like he gives Moses to lead the children of Israel out of Egypt to promise land likewise U will lead out of this bondages of poverty and frustration to marvelous light in Jesus Name Amen come 28 March 2015 U will be re-elected. God will surely uphold and sustain you my able president. You will have your second term to complete your mission. My President…we know Rome was not built in a day and we are wise enough to be spiritually sensitive to other things beyond these superficial fanatical chants for change. The God that put you there is still on the throne-no demon will takeover the affairs of this bride of Jehovah except God sanctions it. Fear not man but always fear God! You are my president. The best I have ever had. God bless Nigeria. Yes, where’s the video of this interview. It looked more like a prepared question and answer. we know our president and the way he responds to questions. “The rich Cannot sleep easy because the poor are hungry ” prof Aluko. The children of Mr president ministers are partying in the air in a chartered jet yet they still want to be there. Why? This is the worst answer by any seating president. Firstly, if I could take him back to 2011, he categorically said if I can not fix the energy, don’t waste your vote on me for the second term? Has he done anything about power? Hell no. Does he deserve our votes? Hell no. which of the trains has he revitalise? Is it the one Doyin okupe said we can only use locomotive/ second hand trains in nigeria but they can buy them self private jet to fly all about. It is only an idiot, un-educated that will vote for GEJ. He is a complete failure with nothing he has pin point as the main thing he did since in office for 6 good years. He spend our foreign reserves against the advice of the professionals now naira is a laughing stock in the foreign exchange market. Monitoring the Nigerian presidential campaign from off-shore, and relying more on newsmedia reports, one could easily have come to the conclusion that Gen. Buhari who had competed three times before and lost, and who was piloted to the Presidency by a coup, might probably be a better leader. However the interview granted to the Cable network, which appeared to me to favour Gen. Buhari, is a last-minute trump card that is likely to give Goodluck Azikiwe Jonathan the edge over Gen. Buhari. Congratulations for this brilliant and classical interview on a media organ that has, in my assessment, been traditionally opposed to GAE Jonathan winning a second term! Please don’t be deceived. This can’t be Jonathan mind output. It must have been an open book interview. If not where is the video? Open book interview..where is the vIdeo? I’ve watched nothing less than 5 interviews of Mr Jonathan, he has never and will never be this coherent…he and his team should continue been delusional, their time is up! See Shoeless minds, supporting the Shoeless President. Instead of looking at content of the interview, they are celebrating his excuses and defences. What has he done on GDP, on income, on our debt, statistics of corruption,etc. He is just denying everything about Asari, Fayose and Diezani. So the 10 billion naira on private jets is by APC as well? Will be heart-broken if this man does not end up in prison. On GDP, our GDP is higher than before. On income, GEJ was the president that increased the minimum wage from 7500 to 18000. He even increased corpers allowance to 18500. On corruption, the EFCC has more convictions now than before where we see them working only on TV. Mr president has a good mind but he’s got the worst set people around him. Those of you them speaking with two sides of their mouth are ready to switch sides at any moment. Anyway, in real sense of it, this is only real election Mr president would face all through his political life and I guess he’s sore afraid of it. The power that be were with him in 2011 and everything went well with him. There’s no internal democracy in PDP, anything can go especially when Ghana must-go moves round. Unfortunately, Nigeria isn’t PDP so he must face the election. Jona, pls ride on. It is only empty drums that make the loudest noise. Is the change in lagos,N20B internal revenue everyday and about N7B monthly allocation,did we see any change compared to what they received,APC change is mere propaganda.All the people in APC is from PDP who have hold political position for 8yrs. 4yrs respectively.I wonder who they are deceiving,My able President GEJ till 2019. But we in the PDP were busy mobilising the grassroots, going from village to village, from town to town. The result shocked everybody, apart from us at the PDP. I am so at home with the comments made by our president. Humility demonstrated. The Lord our Lord has seen you through, remain blessed and congratulations on your success. GEJ is indeed a grt leader and a man who is humble to the core. Nigeria destiny is still hinged on him till 2019. God will not dissappoint you our humble president. I askd God to give me a humble heart like yours so I could continue the transformation propagation in 2031 God’s willing and you will become our statesman. I respect you like Gowon and Abdulsallami Abubakar. GEJ TILL 2019.. ONE NATION!! If God says yes nobody can say no. Here’s Heaven’s report. President Goodluck of PDP will win the 2015 presidential election. And you know what? Nigeria will surprisingly experience peace as never before after this election. God Himself will bring it about to pass. God’s kind of peace; peace that passes all understanding will rule Nigeria. Your comment..you will have my vote. I am so satisfied and impressed by most of the presidents comments. More importantly, they all have strong foundations of truth in them. In fact, I hope he has learnt his lessons, you cannot be a politician and not play some politics: If he had been showing Nigerians regularly his plans, his progress and reasons for taking or staying action, he would not have to answer most of these questions he is answering today. That is called PR, but unfortunately, He hardly has any real Public Relations expert around him. and for the feeble minded, I do not support PDP or APC, I vote for the person I perceive to be true regardless of his/her party. We should all do the same and stop acting like sheep. Very polished answers that make sense. I will be relaxed watching my President in an international forum. Greatest part of the interview for me is Mr President’s gentle n humble thought about Baba’s opinion. It was well n intelligently put. Nigeria needs a humble, intelligent, focused n purpose driven president like GEJ. Ride on sir. Nigerians n God/Allah (as the case may be) are on your side. NO SHAKING AT ALL. God Mr. President of the Federal Republic of Nigeria and God bless Nigeria. This the type of leader we need. He is not perfect and none is perfect except God. You are a president God brought you in and all will be well soon. Our destiny as a nation is safe in your hands. GEJ till 2019……………………. I really enjoyed the interview….very apt/intelligent anwsers…..Goodluck Mr. President!….Great job THE CABLE! Your comment..What can we say? Great work TheCableNG. To our President, God is for u, No man who stands against u will win. Shalom! i voted for Jonathan in 2011 but I decided to vote for Buhari because of Jonathan handling of security and corruption. Knowing fully well that Buhari is not the change this country is looking for but I find it difficult to forgive Jonathan on the handling of Chibok girls and BH. This interview made me to have a change of mind. You just win my vote. Can we have a video please? This is 2015. Don’t just give us a text conversation. Believe this you’ll believe anything. Mr. President, good responses but the mainstay of the Nigerian economy- oil& gas is being gradually killed by lack of funding since the inception of your government. Local content is but putting money in some cronies pocket who rather than grow their company are busy frittering away the money on private jets and the likes. Only those who knows nothing will be swayed by this last minute orchestrated interview though I must give it you Mr. President, well rehearsed answers targeted at the uninitiated..
My able president,the Lord is your strength..you have my family vote.uYour comment.. Your comment..some ppl here could not even believe d level of GEJ intelligence. this is hw ppl were marvelled at d ppl wisdom God gave to Solomon. even if d questions of dis interview was given to bihari so dat he can study it for a month hw would still nt be able to give an answer as perfect as dis. everybody knows dat BT nt all will admit it. Your comment..The problem with mindset is that it’s so difficult to change eventhough it’s being confronted with truth. GEJ has a Phd, isn’t that a mark of intelligence? When some ppl say GMB will throw corrupt ppl into jail it bothers me. It means they expect him to run a democratic gov’t without a constitution. It means they don’t even know what they’re saying. So it may be difficult for them to accept GEJ but thank God majority of Nigerians are wiser. March 28, 2015 will be a big disappointment to GMB and his supporters. I will congratulate whoever wins. I am not known for violence. I will never incite people to start spilling blood because of an election. It is not worth it. My ambition is not worth the blood of any Nigerian. Many Nigerians are not objective when it comes to pressing issue like this one. First of all,I will put my questions up for objective answers.When Soyinka acted as a mediator between Niger delta militants and the federal government, was he considered a member of the militant group? Then why must Buhari be seen in the opposite.When we talk about people been killed by Boko Haram, no one talks about how many Boko haram members were extra judicially killed by Nigerian soldiers which led to their taking arms against innocent souls and structures. Have we questioned the government for killing these innocent people by the Nigerian Soldiers? Well, I am not saying it is a justification for Boko haram to start killing innocent people and attacking places of worship.When our people use America as example, they fail to mention the failures experienced by the American government and military. Over ten years in Afghanistan with over 40, 000 soldiers, with sophisticated weapons and ammunition, technology but they are yet to fall a small group of people causing harm. Besides, we should not forget that the American government has been trying to negotiate with the so-called terrorist in Afghanistan since last year but to no success because they break the rules. We should note important points before we start posting. After all of this, I still don’t see it as an important strategy of bringing peace in Nigeria. In a short time, boko haram will definately fade off and Nigeria will be in peace again.